Shaykh ’Abū al-Hasan ‘Alī Nadwī (1914-1999/1332-1419 AH), one of the most widely read and influential scholars of our time, was likened by his intellectual peers to the exemplary scholars of the earliest generations of Islam. His writings have been translated from Arabic or Urdu into all of the major languages of the world and remain popular from one generation to the next. In this account by a former student, various aspects of Shaykh ’Abū al-Hasan’s life and works are presented – his education and upbringing, his role as a leader and guide, his writings, and his da‘wah and tarbiyah (calling people to Islam and training others to do so). This biography sets out his response to groups and movements that did not share his distinctive approach to issues of concern to Muslims. The unifying theme of the book is Shaykh Nadwī’s timeless commitment, as a scholar and dā‘ī, to the spiritual well-being of Muslims, emphasising their relationship with God and each other, and their response to Western cultural influences. 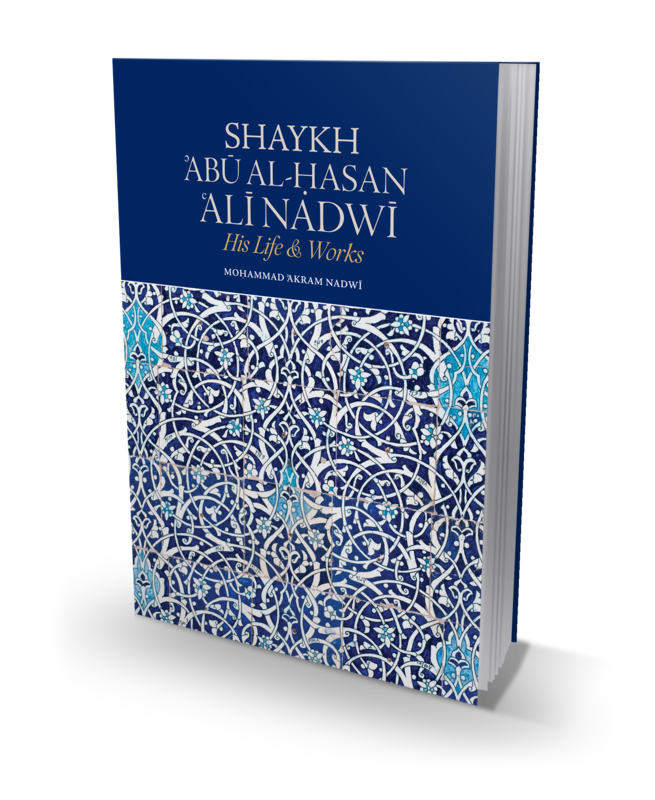 The book covers all the various aspects of the life and works of Shaykh ’Abū al-Hasan ‘Alī Nadwī including the background of Muslims in India and the rest of the Muslim world from a political, intellectual and educational perspective, his life and influences upon his life such as his lineage, birth, upbringing, studies, journeys, teachers and key books, the biography then details his learning and writings in all aspects of da‘wah and tarbiyah, the journeys he undertook for da‘wah, the establishment and mission of Nadwat ‘Ulamā’, and then his leadership of Muslims in India, his handling of contemporary Islamic groups, and the positions and honours he held. The biography ends by describing Shaykh Nadwī’s character and death, his physical appearance, common habits, his daily routine and finally his death. MOḤAMMAD ʾAKRAM NADWI is one of the UK’s best-known scholars with a classical training in the Islamic religious sciences. He studied, and later taught, at the renowned Dār al-ʿUlūm Nadwat al-ʿUlamāʾ in Lucknow, India, and holds a doctorate from the University of Lucknow. Currently a Research Fellow at the Oxford Centre for Islamic Studies, he is also the author of over 25 books on a range of subjects including Ḥadīth, Fiqh, Arabic grammar and Islamic biographies, published in Arabic, English and Urdu. His magnum opus is a forty-volume compilation of biographies of women scholars of Ḥadīth; the introduction to this study was translated into English and published as al-Muḥaddithāt: The Women Scholars in Islam (2007). His more recent titles include ʾAbū Ḥanīfah: His Life, Legal Method and Legacy (2010) and the second volume of al–Fiqh al–ʾIslāmī: Zakāh, Ṣawm and Ḥajj (2012). By any chance you have a download link for Islam and the World? Is it possible to download the complete book in PDF or ePUB?